My supper party last night was a gaspacho starter with added chopped cucumber and croutons to add texture to the cold soup. 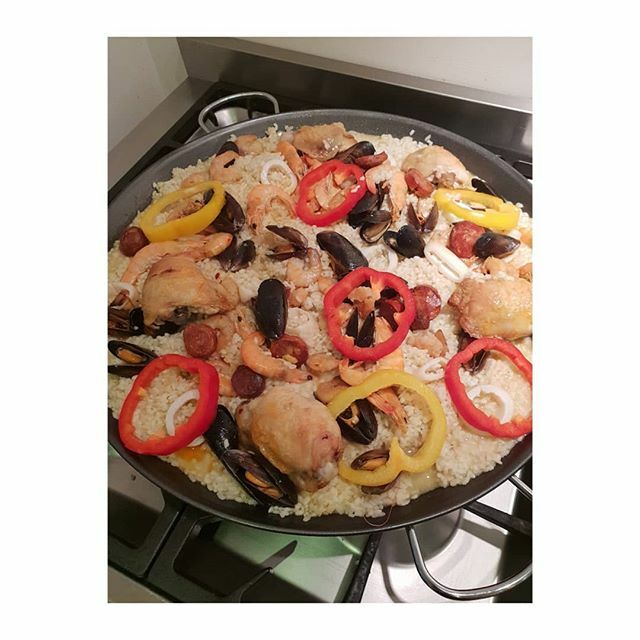 The rice was cooked in shellfish stock (lobster, mussels, chicken, garlic and onions in the vegetable water stock), and chicken thighs roasted first with crispy skin, chorizo, prawns, mussels, squid, and some sliced peppers to decorate. I served it with a green salad. Cheeses and strawberries and cream for pud. 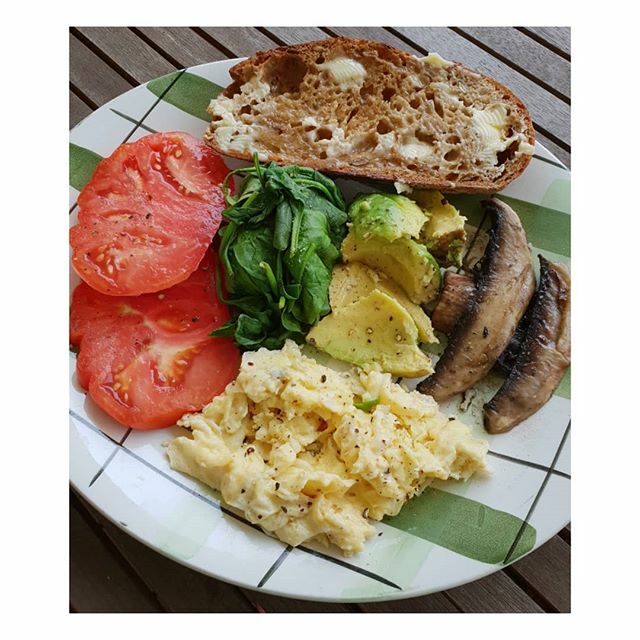 Eggs from the local farm shop chickens, seeded wholemeal bread from the Island Bakery with rather a generous spread of organic butter, wilted spinach, beef tomato slices, avocado and mushrooms. I always eat breakfast or brunch straight after working out, or doing any fitness or exercise. Healthy mix of carbs and protein and good fats. . Working on the bingo wings with light weights and lots of repetitions and of course the core and glutes. A barrecore class and then a healthy low carb and protein breakfast -scrambled eggs and avocado.